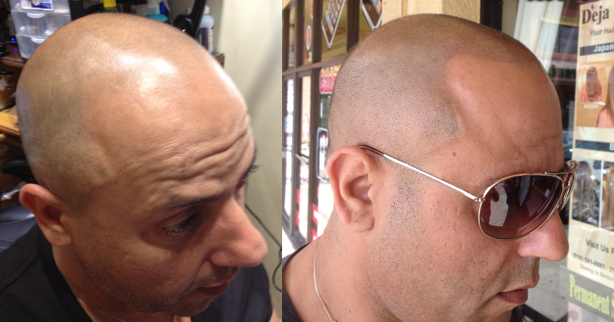 MICRO HAIR PIGMENTATION (MHP) is the ANSWER! Deja Vu’s founder, Tamir, is one of the leading MHP specialists in the country and he’ll work with you to make sure you understand the technique and get the best results for the complete, natural hair style you deserve. AFFORDABLE, PERMANENT. 100% NATURAL LOOKING! CALL and schedule a FREE consultation. So PLEASE don’t spend another day without looking your absolute best!